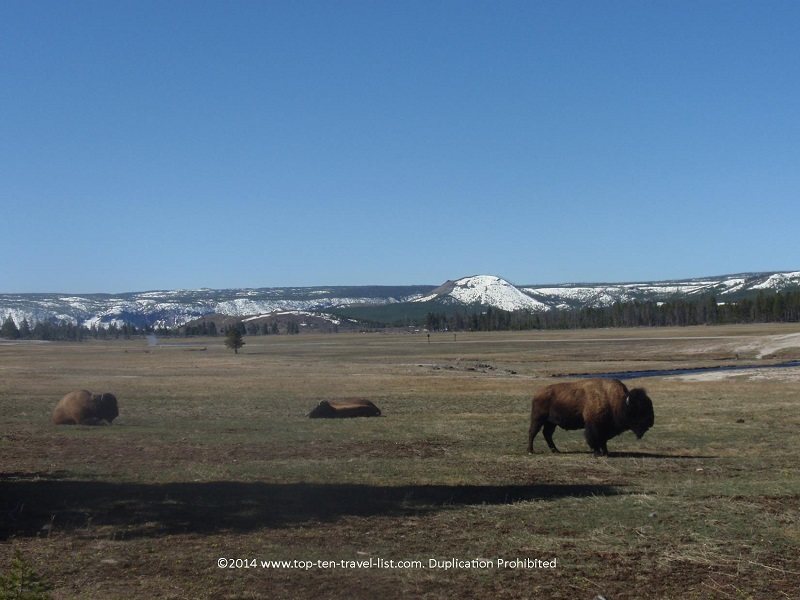 Vacation Spotlight: Yellowstone National Park - Top Ten Travel Blog | Our experiences traveling throughout the US. Yellowstone National Park, one of the most beautiful parks in the world, also claims the title of America’s first park (the park was established in 1872). Although not the largest national park, the more than 2 million acres of park space gives you endless opportunities for exploration (Wrangell-St. Elias in Alaska is the largest with over 13 million acres!). Most of Yellowstone lies in Wyoming, however, small portions can be found in Idaho and Montana. Yellowstone is a fantastic year-round recreational paradise with numerous seasonal activities to partake in. From scenic drives to wildlife viewing to biking and hiking, Yellowstone offers some of the best opportunities for a memorable and adventure filled vacation. 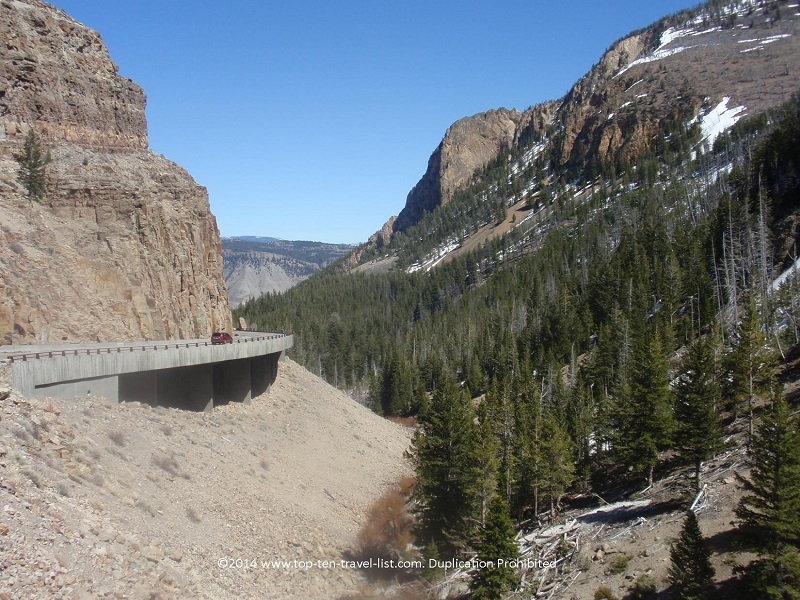 By far, the best way to see a large portion of Yellowstone in a short period of time is by taking one of the hundreds of miles of scenic roads that cross through the park. There are various roads to take, all with tremendous views and possible wildlife sightings. 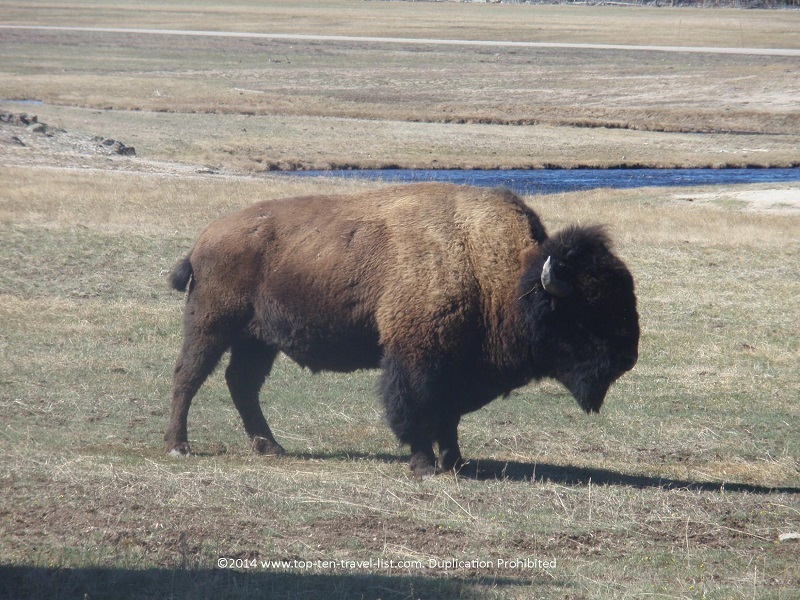 Bison, elk, and coyotes are frequently seen from a distance, and oftentimes right in the road! In addition, you may get lucky and spot a bear! Along the way, you will pass many beautiful landscapes including streams, rivers, forests, mountains, mud pots, canyons, waterfalls, and geysers. 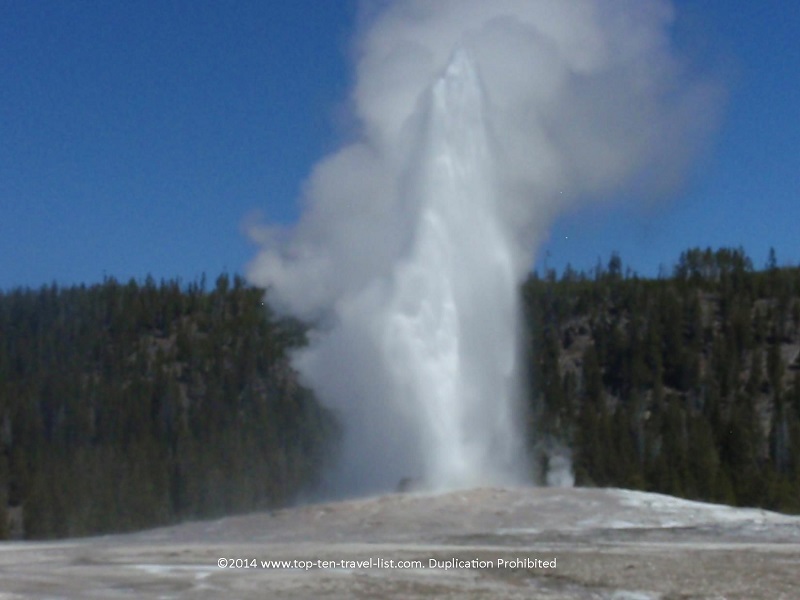 Old Faithful is one of Yellowstone’s most amazing attractions. It is the most predictable geyser in the world with an average eruption time of 92 minutes. Watching a beautiful natural show like this is much better than visiting an overpriced, man made tourist attraction. A beautiful sight not to be missed! Great photo opportunities as well! A picture of you standing next to the fountain is the perfect free souvenir! The winter season brings a new opportunity to view the park in a different setting. Although roads are closed to the public, various snowcoach tours are available to give you a snowy glimpse into the park. A snowcoach tour is one of the only opportunities to visit this magnificent park during the calm, serene winter season (a snowmobile is the only other vehicle permitted). 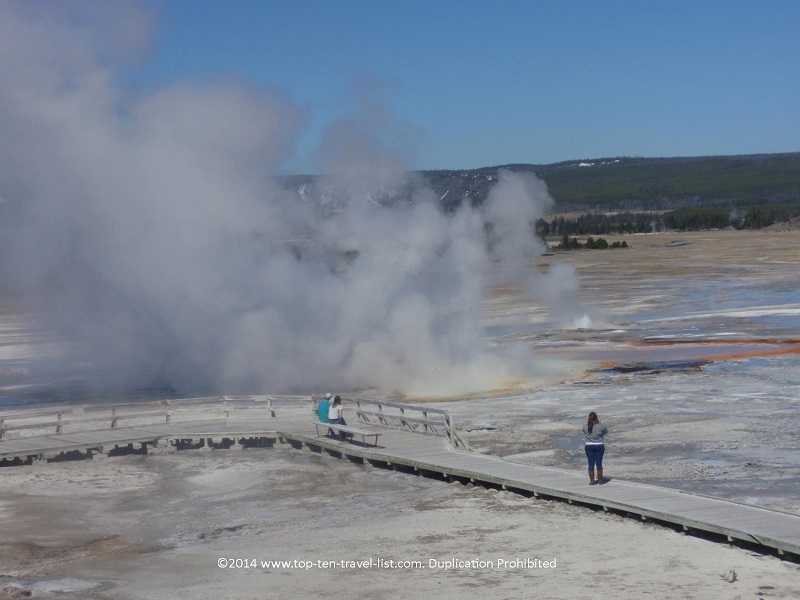 Tours are offered to hot spots such as Old Faithful and the Grand Canyon of Yellowstone. Winter is a beautiful time to plan your visit and offers the tremendous opportunity to see wildlife in their uninterrupted habitat. The snow capped mountains, frozen waterfalls, and abundant wildlife lead to endless photo opportunities. Visit Yellowstone Snowcoach Tours for more information on this year’s tours. Each year during the beginning of the spring season, the park opens to non motorized traffic. Pedestrians and bikers can take advantage of no fees and peaceful surroundings. This is your best opportunity to visit the park without any noisy traffic and also get in a hefty workout. Yellowstone can get extremely crowded during the busy summer months, so take this unique opportunity to visit the park sans crowds. 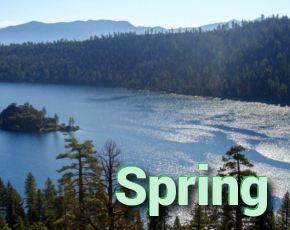 Check out more information about Spring Cycling at Yellowstone. 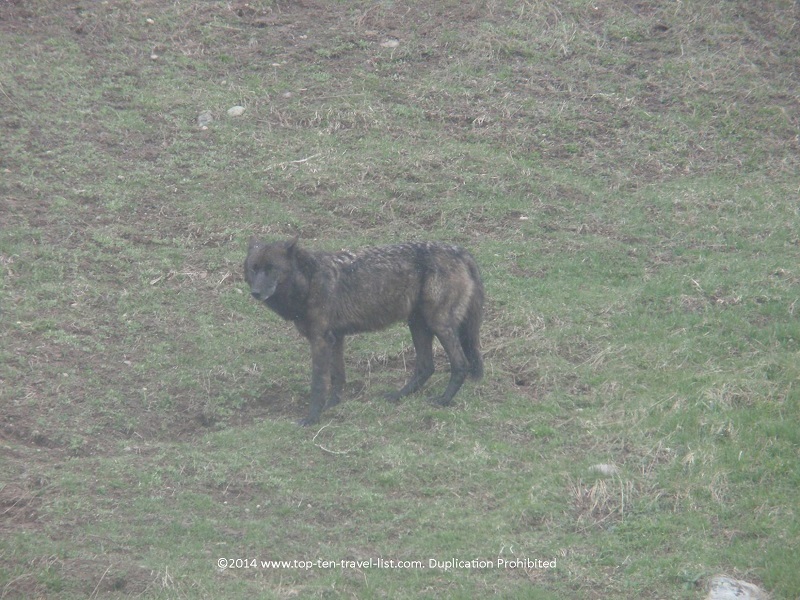 Yellowstone is known as one of the premier places for wildlife photography. Yellowstone is home to thousands upon thousands of animals. Over 60 animals call Yellowstone home, including: bison, black and grizzly bears, bobcat, cougars, elk, moose, bighorn sheep, and more! 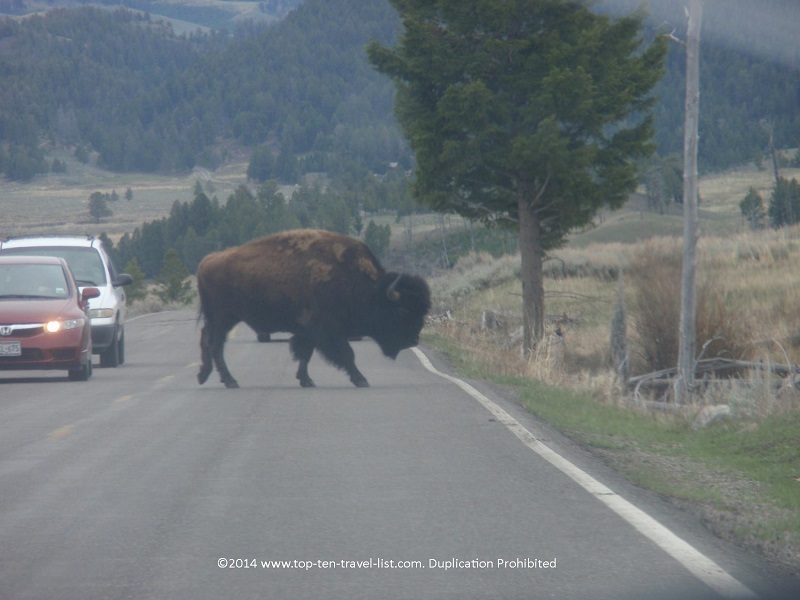 It’s not uncommon to see a bison crossing the road and walking side by side right next to your car! Occasionally bears will be seen crossing the street, especially during the spring season. Visit early in the mornings for the best wildlife viewing opportunities. There are tons of beautiful pictures to take of these fantastic animals in their natural habitat. The gorgeous, natural setting of Yellowstone combined with abundant wildlife viewing provides the perfect setup for a great souvenir photo! Be sure to plan a side trip to Mesa Falls Scenic Byway (closed during the winter months to vehicles), a 28 mile scenic drive filled with gorgeous overlooks and 2 waterfalls. The drive, located just an hour or so from Yellowstone, is an absolute must-see on your vacation. 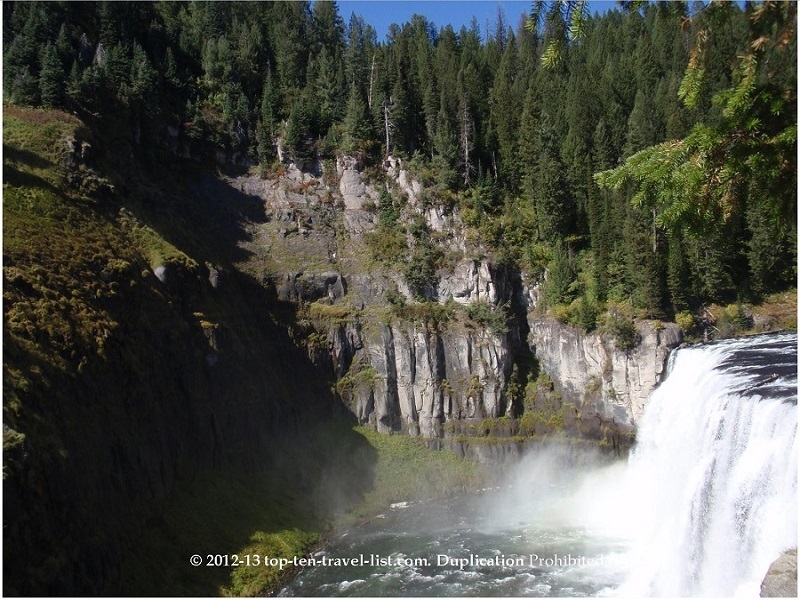 The beautiful drive affords you the opportunity to check out 2 gorgeous waterfalls: the Upper and Lower Mesa Falls. A truly scenic drive with picturesque views of the Snake River, the Caribou-Targhee National Forest, beautiful waterfalls, and overlooks featuring the Grand Tetons. 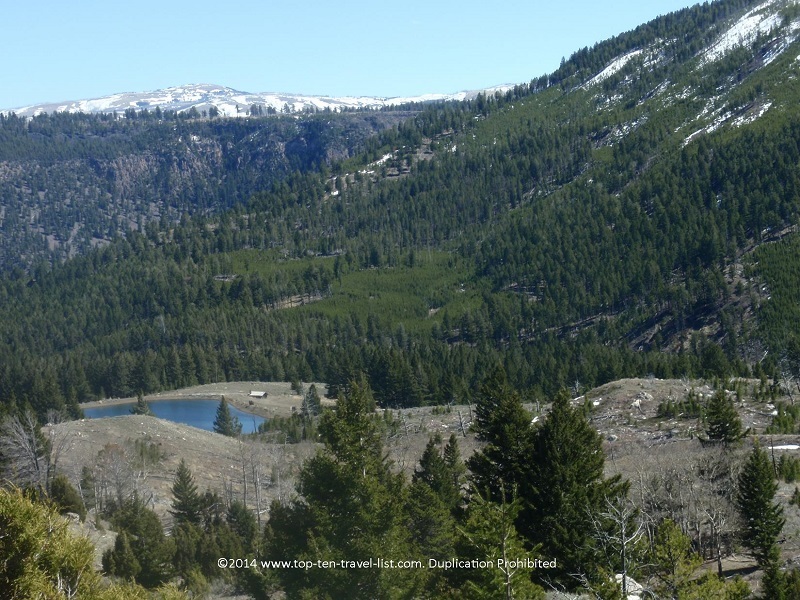 Harriman State Park is located just 28 miles south of Yellowstone. Offering 16,000 acres of land and numerous activities and events throughout the year, Harriman is another perfect choice for year round recreation. 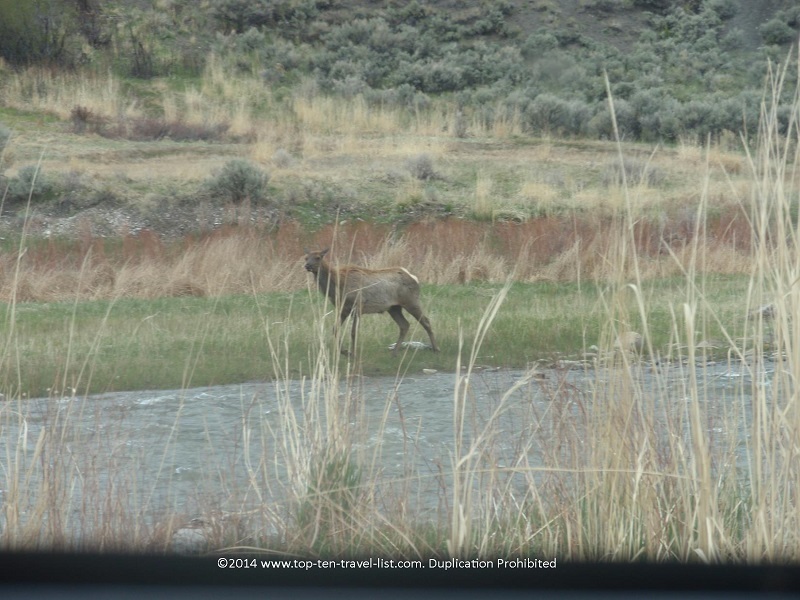 Like Yellowstone, the park offers a picturesque setting with opportunities for wildlife spotting. Hiking and biking are popular pastimes during the summer months. Winter is the perfect time to test out your skiing skills on the groomed cross country skiing trails. A diverse range of trails, from beginner to advanced, offer some of the best opportunities in the park for gorgeous panoramic views. There are many great towns to explore within a 2 hour drive of the park. West Yellowstone and Bozeman in Montana, and Rexburg and Idaho Falls in Idaho are a few good options. Each town is located within convenient driving distance of the park and offers great lodging, dining, and entertainment options. 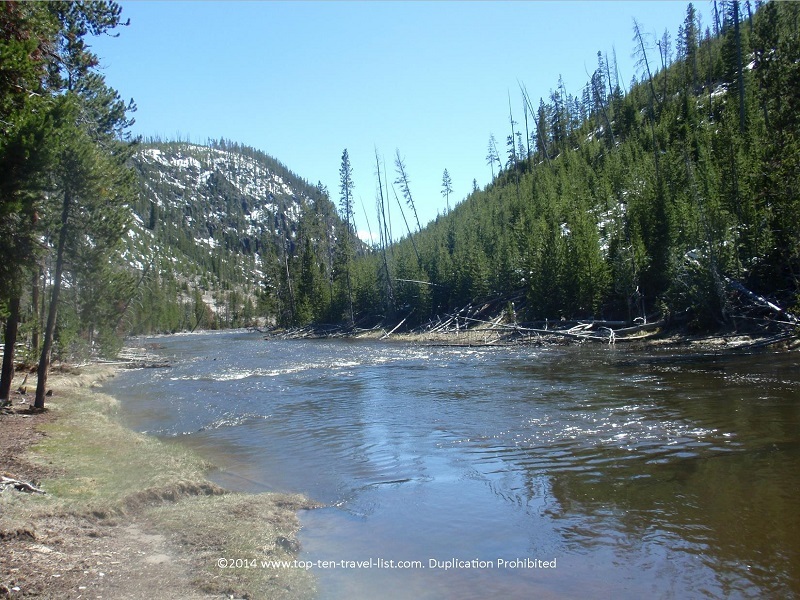 West Yellowstone is a great choice as you will be located right near the entrance to the park. Although there are a lot of choices for lodging and dining during the summer months, many establishments close for the winter season. Be sure to pre-plan your trip in advance! Three Bear Lodge, Alpine Motel, and Kelly Inn are great summer options. West Yellowstone is home to numerous restaurants, shops, and attractions. Running Bear Pancake House, Three Bear Restaurant, and Woodside Bakery are a few popular breakfast choices. During your trip, you will have hours of fun checking out all the unique souvenir shops. In terms of attractions, West Yellowstone offers the following: Playmill Theater, Grizzy and Wolf Discovery Center, and a Museum of the Yellowstone. Idaho Falls, known as “The Gateway to Yellowstone, ” is a great town located just under 2 hours from the West Yellowstone entrance to the park. This mid-sized city offers dozens of affordable hotels, hundreds of restaurant choices (it claims to be home to the most number of restaurants per capita), and a few worthy attractions of its’ own (check out the beautiful Greenbelt, Tautphaus Park Zoo, and the Art Museum of Eastern Idaho). Many hotels ranging from basic budget choices to more luxury lodging options with river views are available to suit your budget. A handful of fantastic hotels line the Greenbelt, including: Fairfield Inn and Suites, Best Western Driftwood Inn, and Red Lion Hotel on the Falls. In addition, more budget friendly options like Motel West offer comfortable accommodations at a reasonable cost. Priced at just $100 a night and including extra amenities like a heated indoor pool, hot tub, and an on-site restaurant, it’s the perfect affordable choice. No matter which hotel you decide on, you will enjoy the benefits of easy access to Yellowstone. Bozeman is another fantastic choice located just short of 2 hours from the entrance. There are many excellent affordable lodging choices in town. Western Heritage Inn is a great affordable option that includes added amenities such as: a pool, hot tub, sauna, breakfast, and cozy lobby/breakfast area with a fireplace. Bozeman, most notable for being home to Montana State University, is a quaint city with plenty of opportunities for recreation. Bozeman’s charming downtown is home to numerous local restaurants, souvenir and antique shops, and a fabulous coffee/tea shop called Wild Joe’s. 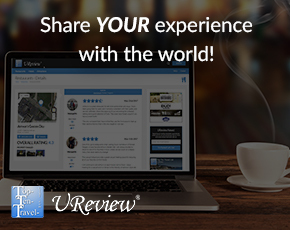 *Plan your hotel and flights several months in advance for the best deals. *Consider flying into Salt Lake City and renting a car. Although there are closer airports, the price with renting a car will be much cheaper than a smaller airport. 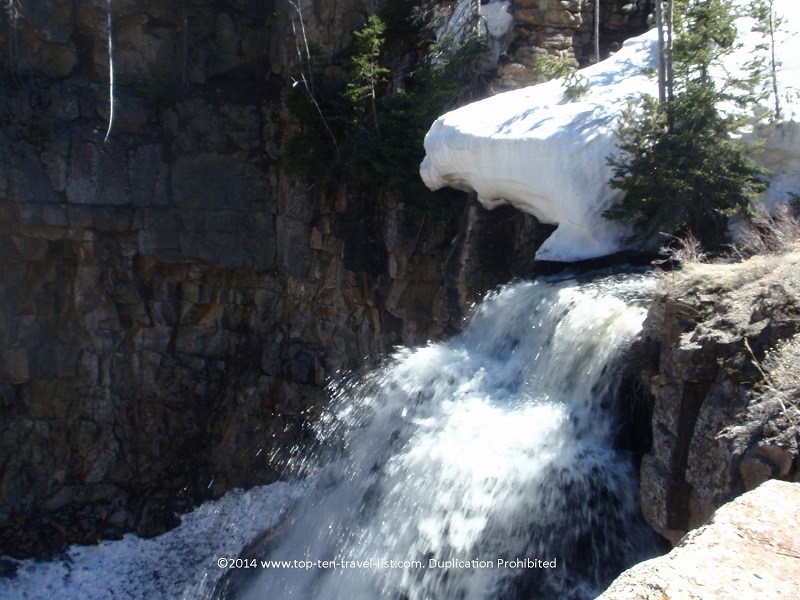 *Plan your Yellowstone vacation during the off-season (early spring) for cheaper rates and fewer crowds. *Pick up a detailed map in the West Yellowstone Visitor’s Center. Helpful staff will be able to answer any questions, including the best roads to spot wildlife. 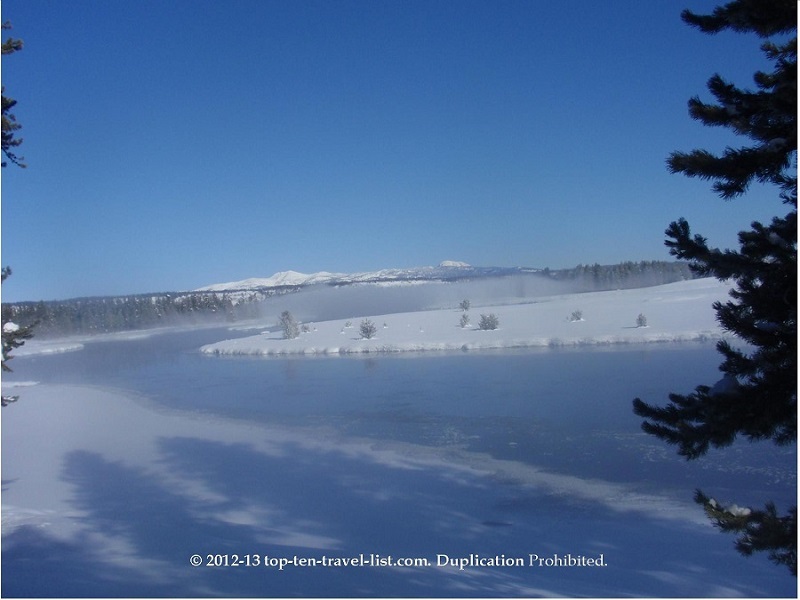 *Plan a few hours in West Yellowstone for dining and shopping. Even if you are not staying in town, there are plenty of rustic themed restaurants and great shops to browse around. *Sign up for a guided tour. Many companies such as Wildland Trekking offer both single and multi day trips. *Check for special deals on sites like Groupon and Living Social. *Bring with a high quality camera. You never know when the perfect photo opportunity may arise! *Prepare in advance for your lengthy drives through the park. You could be out there for hours. Break drives into several days – do not try to do it all in a single day! Be sure to pack snacks and water bottles for the trip. And, fill up your tank completely – there are only a handful of fuel stops. Yellowstone has 5 entrances. Check the National Park Service website for location and operating hours for each. The West Entrance is located at: 436 W Entrance Rd. West Yellowstone, MT 9758. Entrance fees are: $25 per vehicle, $20 for motorcycles and snowmobiles, and $12 when entering by ski, bike or foot. 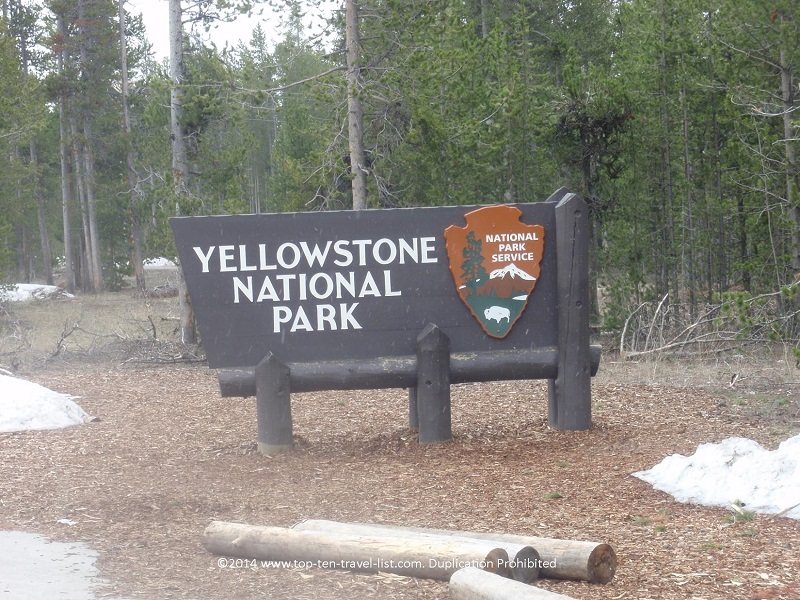 The fee is good for 7 days at both Yellowstone and Grand Teton. Annual passes are $50. 10 Worthwhile Northern Arizona Attractions & 10 to Skip!